For a short week, this week is so busy! Whimsy Wednesdays 13 will go live tonight at 8 EST. Plus we have our monthly Bloglovin Blog Hop that will start Wednesday night at 6 EST. I hope I’ll see you all back here. As many of you know this week is extremely important because my husband graduates this week. I am honestly beaming with pride. My husband was not the studious type when he was in school so it was a huge step for him to go back. The amazing part to me is that he has done so well. As a teacher I feel that his maturity was the issue. He graduated high school at seventeen and he just couldn’t handle the freedom at such a yong age. I swore that if Riley came early I was definitely going to hold her back from school. In NY the child has to be five before December 1st in order to go to school. As a literacy specialist, I service a vast majority of children that are young for their class. This is not to say that all of them have delays or issues, but why not give them an extra year if you can? 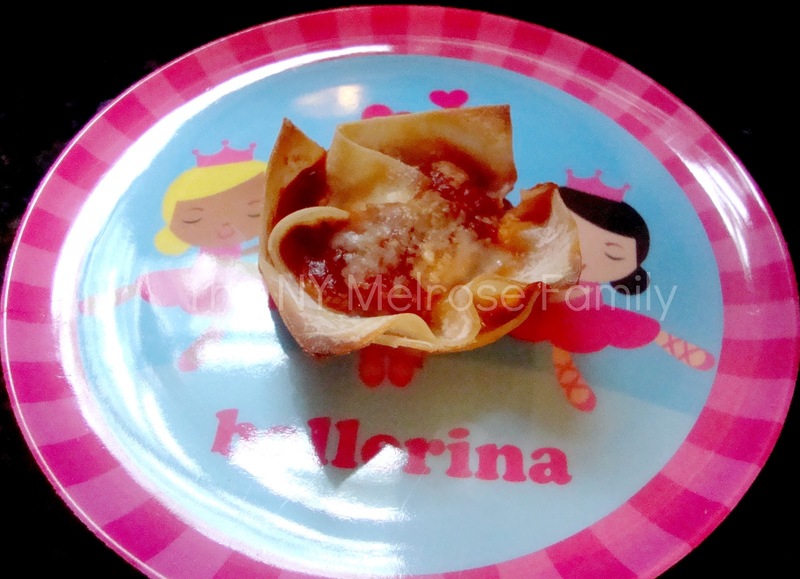 Before I dive into the graduation party details I wanted to share a fabulously easy, toddler approved meal. I should really call it a Riley approved meal since she’s not a big fan of meat. These toddler size lasagnas are tasty as well as cute. Riley loved the way it looked like a flower on her plate. These literally took fifteen minutes to make, which included prep and cook time. LOVE! I think I ate about four. Mix 1 cup of ricotta cheese with a pinch of fresh parsely. Add salt and pepper to taste to ricotta. Place a wonton wrapper in the bottom of a cupcake pan. On top of the wonton wrapper place a tablespoon of the ricotta mixture. Add a tablespoon of spaghetti sauce. 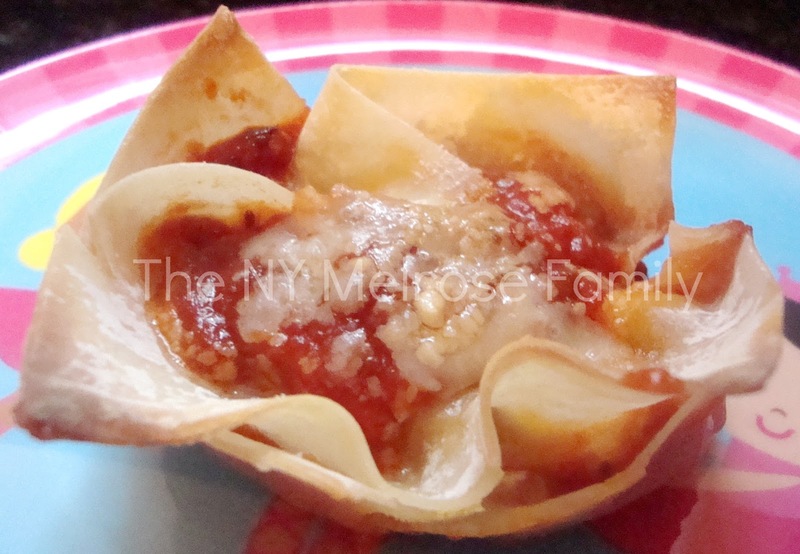 Sprinkle with mozzarella cheese and cover with a wonton wrapper. Repeat the layers twice of ricotta, then sauce with mozzarella sprinkled on top. For the final layer sprinkle with Parmesan cheese. Bake at 350 F for ten minutes or until cheese is melted on top. YUM! These look great! A must try! These look good (for adults too)! I could eat a few…or the whole pan! mmmmmmmmm i want one now and keeping this on the radar for the future. Have fun this week/weekend! Congrats to all of you!! how fun! I think my girls would probably go for these. I know hubs would, lol. I agree it's best to give kids an extra year if you can. My daughter misses the cut off here (sept 1) just by a month. I was a little sad at first, but watching her excel and be one of the oldest has given her some maturity. oh and thanks for linking up to Foodie Friday! These look so good, I think the toddler's over at my casa would eat them too. Thank you for sharing the recipe! This looks delicious!! Definitely adding it to the monthly menu! Happy to be your newest follower 🙂 Found you through the blog hop! Hope you get a chance to check out my blog!! This looks so yummy! I'm sure my kiddos would enjoy it too. Sounds really good. We'll have to give it a try. We started making meatloaf in muffin tins so this will be next! Oh I want to try these. I think I will put a mini cooked meatball in the center. I am going to feature your recipe at Bacon Time on Thursday! I like that. It looks delicious and quite unique! I'm always on the lookout for quick and tasty meals. This fits the bill. Thanks for sharing at Terrific Tuesdays. so fun! These would make fun appetizers for grown-ups too. What a great idea!! I bet my kids would try this! Please link up to Foodie Friday! Looks great! Thanks for sharing at Sharing Saturday!! I wanted to let you know that you will be featured tonight as one of the top most clicked. Have a great weekend!! I love this! It sounds tasty and easy. My favorite combination. Thanks for sharing on Tout It Tuesday! I need to try this! These would make great appetizers at a party too! Thanks so much for sharing at Mom On Timeout! Yum! I want to make these. Please come share at my linky party!